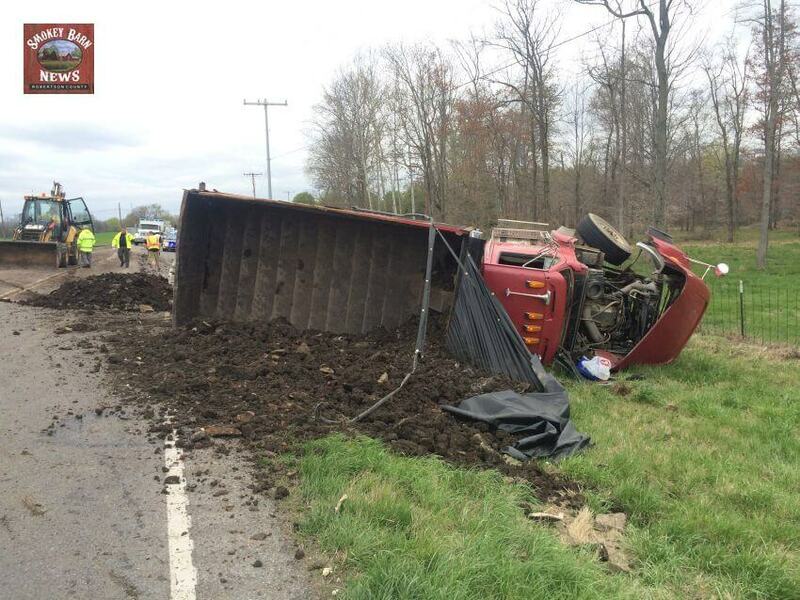 A large dump truck overturned on 431 North near Ledding Rd. MAP The driver was not seriously injured but was transported to NorthCrest Medical Center with minor injuries. The accident occurred just after 11:00am Monday morning. The cause of the accident is still under investigation by the Tennessee Highway Patrol. 431 North was completely shut down for about an hour while crews removed the contents of the truck from the roadway. The truck was hauling dirt. As of 1:00PM crews were starting the process of righting the dump truck. The roadway should be completly clear by 2:00pm. The THP, Robertson County Emergency Management Agency, North Robertson Fire And Rescue and Robertson County EMS all responded to the scene.